From simple tapas to avant grade. 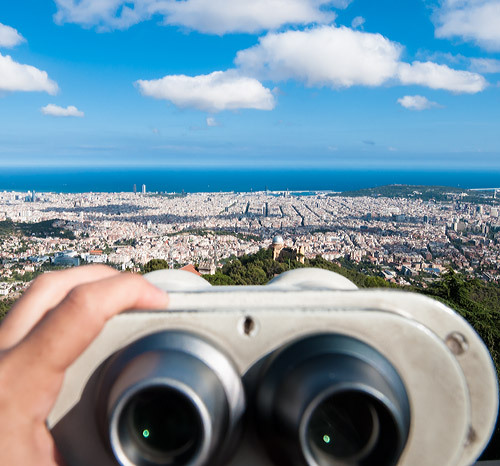 Mountains within reach of the beaches...Barcelona has it all! Barcelona was a city without public beaches 25 years ago. The 1992 Summer Olympics revitalized Barcelona's tourist industry. Golden sand replaced the grunge of industry. Boardwalks took the place of buildings. New restaurants and bars welcomed visitors. In the span of barely more than 20 years, the jewel of the Catalonian coast has risen to the top of the list of Europe's most desirable destinations for tourists and for employee incentive programs. Delicious tapas and wines, big-name fashion as well as artisan couture and a who's who of creativity - Salvador Dali, Pablo Picasso, Antoni Gaudi and Joan Miro – are the trademarks of Barcelona's creative character. Ancient Roman ruins found throughout the city add a classical touch to the city's vibrant, emerging personality. Combine these factors with Barcelona's network of luxury accommodations and beautiful beaches, and you've got a city perfect for companies looking for a location that will inspire and enrich their workplace community. Barcelona is a beautiful city that has it all.